Throughout the season Benfica and FC Porto have been involved in a two-horse race, leaving every other club in the dust. With Sporting no longer a factor in the battle for the title and Braga less consistent than in the past few seasons, Eagles and Dragons will be pitted against each other on Sunday evening, aware of the importance of this particular match. Not unlike the Spanish league (although to a lesser extent), both clubs are involved in a fight of their own - draws having become the new defeats. In fact, both teams will get on the pitch still undefeated - with nothing but two draws on their league record -, as if they were completely unassailable for the remainder of the Portuguese top tier. The duel between the two sides has become so fierce that some of their tactical features are progressively becoming more and more similar. Over the next few paragraphs, we will be analysing the expected key battles. Benfica have been doing this ever since Jorge Jesus took the helm at the club, a coach determined to attack in repeated waves, put on a good show and stifle his opponents. FC Porto, in turn, were usually a more withdrawn side. However, despite some mishaps in the past season, Vítor Pereira has been able to improve his side's pressing (and, most importantly, its timing). In that regard, both teams arrive at this crucial tie with the habit of exerting high pressure upon their opponent and occupying their attacking turf. Will either team back down from that approach? If not, will FC Porto trouble Benfica like they did last year or, on the contrary, will Benfica take the most of playing home and smother FC Porto right out of the gate? 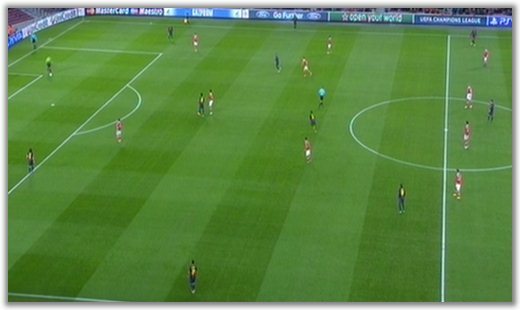 Secondly, both teams share the same issue when it comes to high pressing. While they are usually very effective at that level, they are often quite vulnerable when their opponents manage to get past that initial pressing phase. On those occasions, both sides are often left defending with three or four players at the most, with huge pockets of space to exploit. Against lower teams, that is not a problem most of the times, but against superior teams, it may prove costly. When Benfica sold Javi García to Manchester City, fans feared the worst. The Spaniard had been the defensive fulcrum upon whom the whole all-out attacking approach depended. Despite his numerous goals from set pieces, García was happy to remain in the background, ready to get into action when the team lost the ball. His intensity and excellent game-reading abilities allowed him to break down many of the opponents' attacks, often in numerical inferiority. His departure did not seem to bode well for Benfica. However, according to Jorge Jesus' own words, García was only allowed to leave because the coach thought he had a better player waiting for his chance. That player was Nemanja Matic. The Serb finally got the opportunity to show his worth and was integrated almost seamlessly into the team. However, García and Matic are two very different players. The former Real Madrid midfielder was very much a defence-oriented player, excelling at frustrating the opponents' transitions into attack. Conversely, he was less adept in the offensive side of the game (except for the aforementioned set pieces). Matic is the exact opposite. His great technical skills allow him to be more comfortable on the ball and, most importantly, to immediately turn a defensive situation into a scoring chance for his side due to his better passing ability. On the other hand, the former Chelsea player is slower to get back into position and is often exposed (along with his defence) in quick breakaways. If FC Porto manage to get past Benfica's immediate pressing, the Eagles may stand to suffer. James Rodríguez's absence is a huge setback for FC Porto. Without Hulk on the squad, the Colombian young star has picked up the slack and become one of the most important player in the Dragons' maneuvers. His tendency to start on the right and drift inwards (often exchanging positions with Lucho González) means that FC Porto often have effectively four players in the centre - where Benfica usually tend to deploy just two. Danilo's progressive adaptation to European football and the manager's requests have also been making him more dangerous down the flank, allowing James Rodríguez to stay tucked in most of the time. According to all suggestions, Steven Defour is likely to take the young starlet's place. The Belgian has played at times on the right wing, but mostly when Porto were desperate to get a win and went 4x2x3x1. As a similar player to João Moutinho, Defour is clever enough to take up virtually any position on the pitch, which does not necessarily mean he will excel at it. If he does end up playing as a right winger, he will also tend to drift centrally, like James. On one hand, without the Colombian, FC Porto suddenly find themselves almost devoid of a creative spark, which so often comes in handy in such competitive matches. On the other hand, Defour's presence may put the Dragons in some sort of a 4x4x2 diamond formation, which will tilt the midfield battle in their favour, in all likelihood. 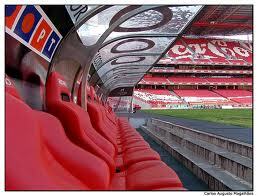 If Benfica manage to concentrate the match on the wings, FC Porto may face an uphill battle. Despite having conceded a mere six goals, FC Porto have looked shaky when it comes to defending set pieces - one of Benfica's fortes, as it turns out. The near post, in particular, is often quite vulnerable, especially when there is a slight deflection towards the far post. In such a tight contest, a poorly defended free kick or corner kick could end up deciding the result. FC Porto do not possess an outstandingly deep squad. Without Atsu, James and Kléber, Vítor Pereira has only the raw Kelvin to resort to if things go awry - which is why the timing of Izmailov's signing may yet prove crucial. If the Dragons happen to concede first, fatigue may set in and the coach's lack of options may become very much apparent. Benfica, on the other hand, are awash with attacking options, should the need arise for a plan B and an even more attacking approach. Nolito, Ola John, Rodrigo and Kardec will most likely sit on the bench, lurking in the shadows and waiting for the opportunity to punish their opponents when their legs are not quite as fresh.